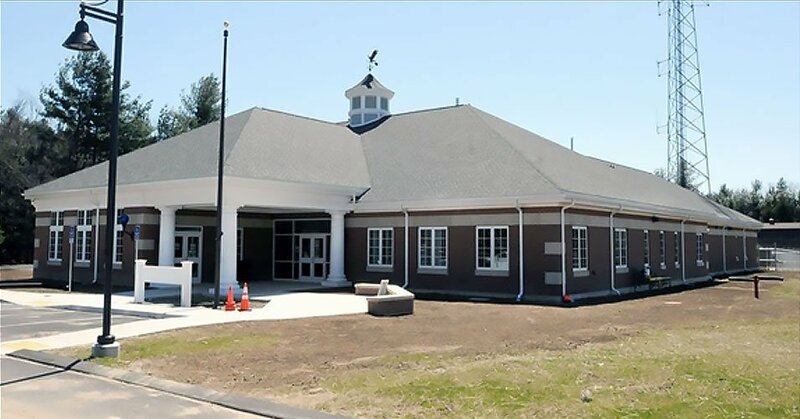 CDR Maguire provided Owner’s Project Management Services for a new 23,000 SF Police Headquarters facility in Palmer, MA. OPM services included oversight of designer selection, programming, design, cost estimates, schedule, and assistance at town meetings. Construction cost was $5.9 M.
The new facility contains ten times more square footage than the previous facility and houses an evidence room, conference rooms, armory, records area, garage, locker rooms, interview rooms, as well as separate offices for the lieutenant, court officer, detectives, sergeants and patrol officers. OPM services during preconstruction included oversight of designer selection process, programming, design, cost estimates, scheduling, and participation/assistance at town meetings. The scope of work also included assisting the Building Committee through the process of design for the new police headquarters, phased construction and relocation for the police department personnel and design/redevelopment for the vacated space at Town Hall.